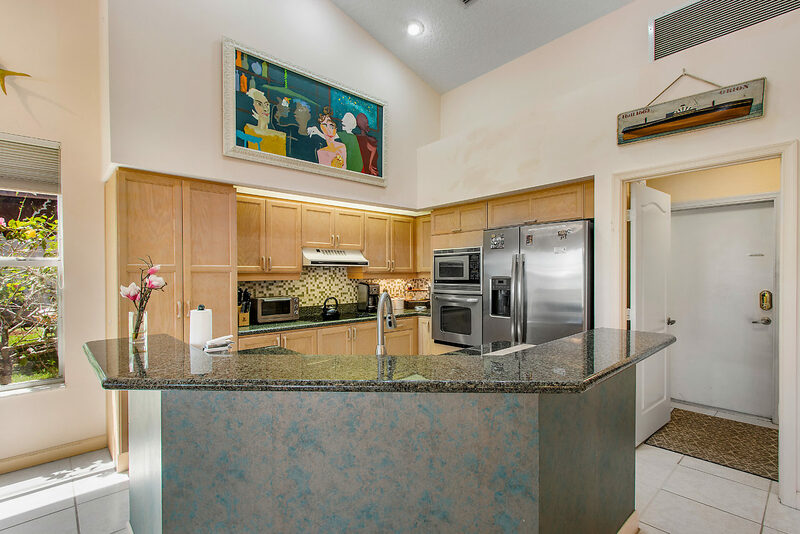 Upgraded kitchen with granite counters, stainless steel appliances, custom mosaic glass backsplash with ample cabinet space and separate built-in bar providing even more storage and counter space off of breakfast nook, separate formal dining room ideal for dinner parties and hosting holidays. This gorgeous home boasts volume ceilings with great room windows providing tons of natural light. 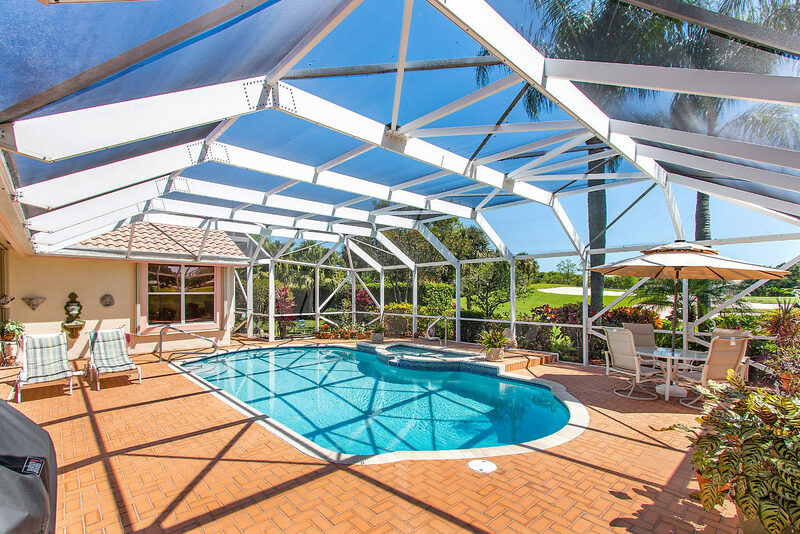 This one of a kind residence features a lagoon style screened-in pool and spa with large patio overlooking unbelievable golf views providing the perfect outdoor retreat. Aberdeen Golf & Country Club offers residents an exceptional lifestyle, in the heart of town and just 8 miles from the ocean! The private club member experience blends time-honored traditions of golf with modern, upscale conveniences from Jim Fazio’s spectacular golf course to the state-of-the-art tennis, fitness and aquatics facilities, to the grand and luxurious clubhouse.